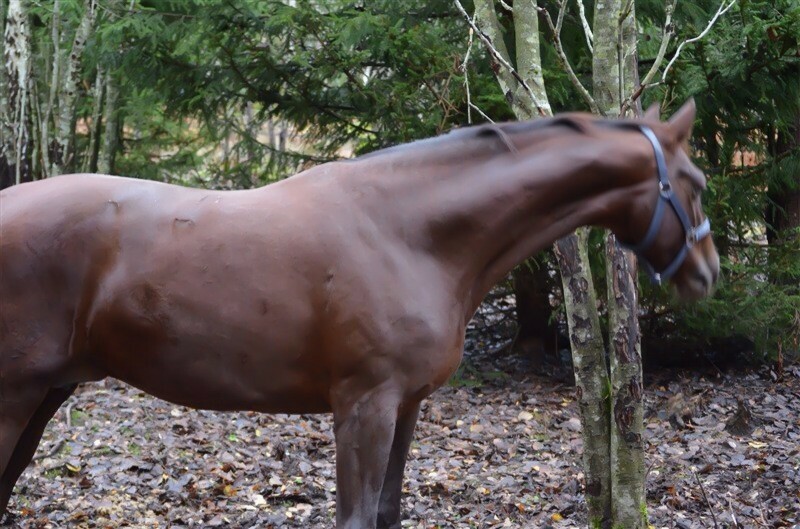 Jazz Girl har ett fantastiskt möderne och tillhör en utav världens absolut främsta stostammar i modern tid "Dame of the Finnländerin" Jazz Girls mor Donna Primera är helsyster till avelsmatadoren och den levande legenden Blue Hors Don Schufro. Donna Primera vann själv sitt stotest och var finalist i Nationella championatet, hon har lämnat den godkända hingsten Ron Rubin och hennes dotter Sambada är mor till 4-åriga hingsten Dr Sambuco som således på PSI Auction 2016 för 2 miljoner kronor. Donna Primeras helsystrar och helbror(även där vinnarston, Statispremie ston, Årets oldenburg sto, vinnare i brilliantringen etc) har bla lämnat Jazz Primeras kusiner, dom godkända hingstarna: Blue Hors Zatchmo, Blue Hors Zirrus, Blue Hors Veneziano, Blue Horse Rudischa, Pentagon’s Peron, Tailormade Red Rebel, Diamond Hit, Cappuccino 16/Karin Rehbain, PSI premie stallion Sunny Boy, Sandro`s Succes, Odöpt hingst från Blue Hors e. First Choice, Blue Horse Don Romantic, Boccelli, Don Laurie I, Don Laurie II, Demetrius, Doolittle, Zchufro C, Sidney, Lord Schufro mfl samt kusinen Världsmästaren Grand Prix stoet Weihegold UVM-finalist som nu tillsammans med Isabell Werth vann både VM guld och EM guld och nu är världsetta i dressyr, kusinen och världsmästaren stoet Donna Unique, Grand Prix stoet och danska mästaren Donna Silver, Rebelle UVM-finalist samt många andra prisbelönta vinnar- och medaljston. Don Schuffro a living legend! Under en 13-årsperiod har Don Schufro regerat på världsrankningen som Tysklands bästa gångartförvärvare (baserat på internationellt tävlande avkommor)! Inte mindre än 10 gånger har han legat 1:a och dom resterande 3 åren har han legat på en 2:a plats. Jazz Girls mother Donna Primera (Staatsprämien und Elitestute) is a full-sister to one of the worlds most successful dressage and breeding stallion Blue Hors Don Schufro . 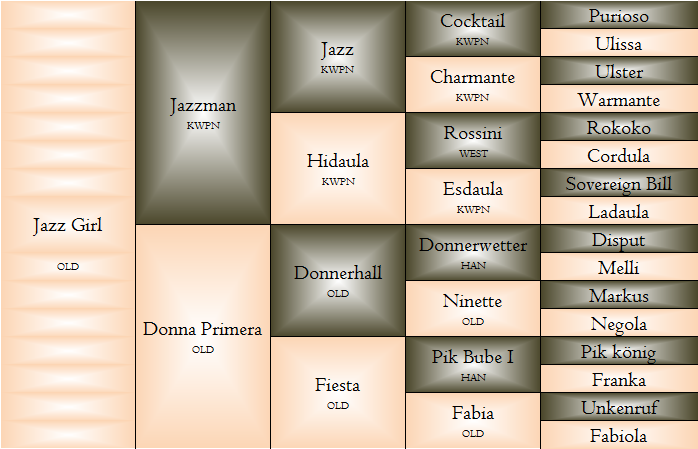 The sire and dam sire of Donna Primera, Donnerhall and Pik Bube I, need no further introduction. Her great grand sire Unkenruf also competed in Grand Prix. Fiesta´s Girl another full-sister is mother of the licensed stallions Blue Hors Zatchmo, Blue Hors Zirrus and Blue Hors Rudisha. 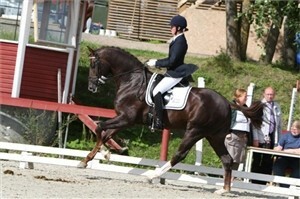 Her daughter Florell by Romanov was ranked in the 2009 Brilliantring in Rastede. Another daughter Florell is mother to Florelia which has been purchased by Blue Hors. Fantastica another full-sister is mother to the Grand Prix stallions Cappuccino 16/Karin Rehbainand and Cafe Au Lait ridden by Maree Tomkinson another son is the PSI premie stallion Sunny Boy. Fantasticas daughter Sunny-Girl is mother to the licensed stallion Lord Schufro born in 2010, he was sold at 2012 AOS (Ankum Open sales) Auction (Hof Kasselman) for 220 000 Euro. 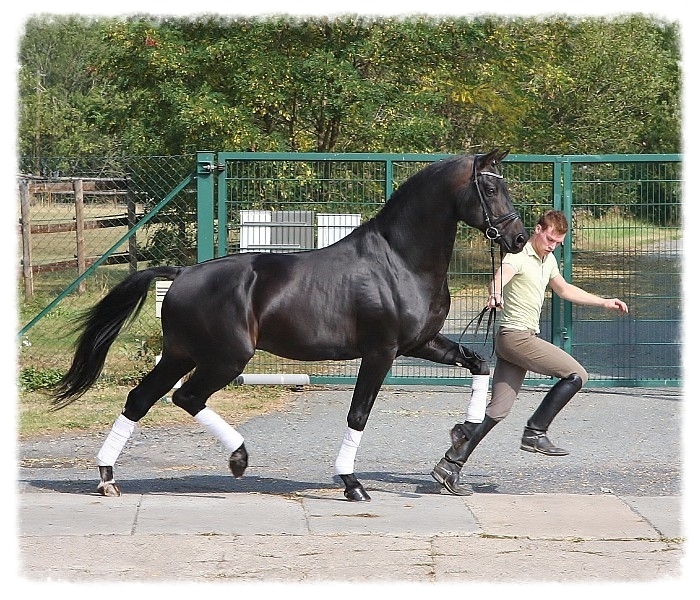 He became reserve Champion for3-year old Stallions in Rastede 2013 and 2014 Sold at the PSI auction for 260 000 Euro. 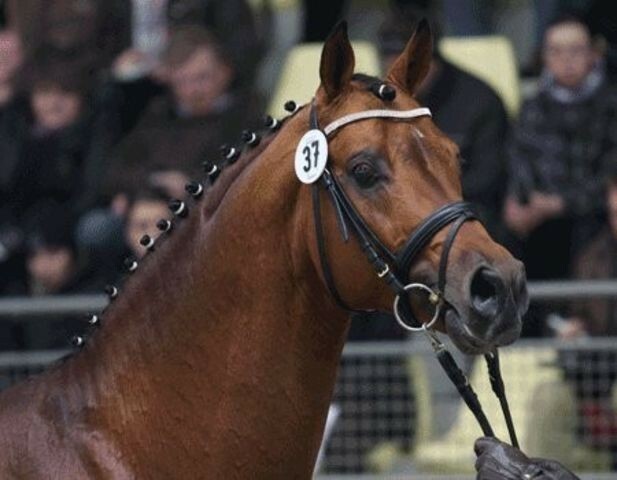 Another daughter Fanessa is mother to the stallion Santo Domingo who was sold 2009 at PSI auction for 72 000 Euro. Fanessa is also mother to the Grand Prix horse Sir Oliver. Blue Hors Don Schufro a living legend! A full-brother who produces top results. Don Schuffro is for 10 time the the leaders of the German Breeding Value index 2012! three times on the second rank and all this in an twelve year's period! He is an absolutely exceptional sire, who passes on securely his quality. 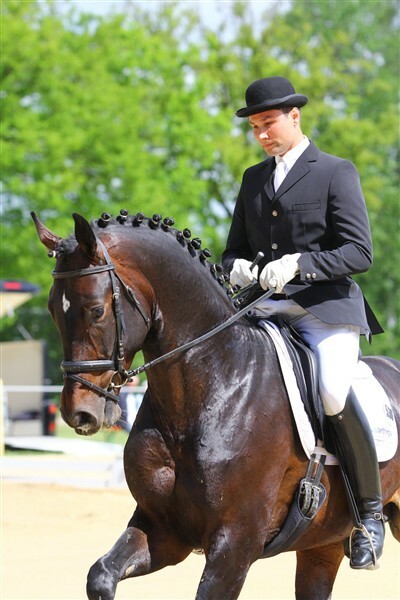 Year after year, he produces new highlights for sport and breeding his daughter Weihegold is currently the dressage horse whose name is on everybody's lips in Germany when there is talk of "future stars" in international dressage. Most recently, Weihegold and her steady rider, Beatriz Buchwald, won both the Grand Prix and Grand Prix Special at shows in Oldenburg and Frankfurt. 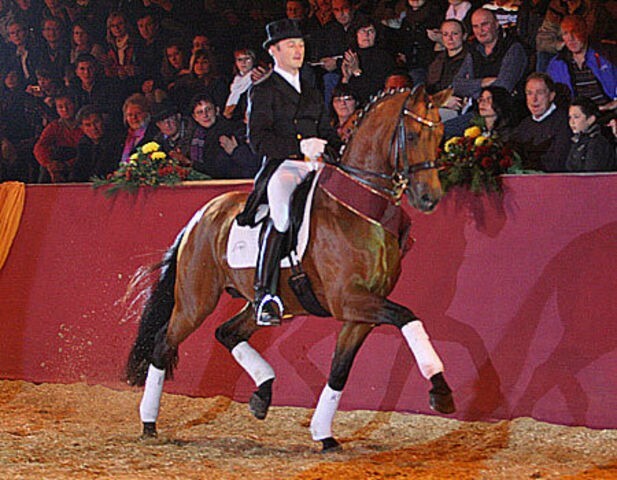 In 2014, the pair won the prestigious Louisdor Preis final in Germany - a dressage cup for young Grand Prix horses between 8 and 10 years another daughter Donna Unique took gold under Andreas Helgstrand/DEN in the 2010 World Championships in Verden in the class for six-year old dressage horses. She received the dream score of 10.0 for her trot, a 9.5 for her walk, 9.3 for her canter and a 9.6 for overall impression as well as an 8.9 for suppleness. With a total score of 9.46, Donna Unique clearly left her competitors in the dust, just as she had already done in the qualifier. The year before, she took silver at the World Championships in the class for five-year old dressage horses. In 2007 she took the Young Horse Champion title in Herning, Denmark. 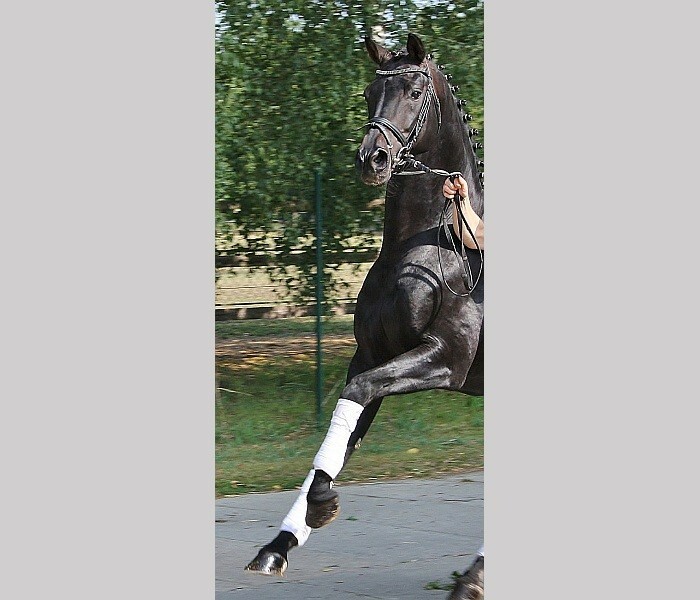 2012 she qualified twice for the Burg-Pokal and was now trained for first competitions on Grand Prix level. Don Schufro has sired more than 30 licensed sons for example Diamond Hit who has won Grand Prix with Emma Hindle, Blue Hors Don Romantic, Bocelli, Don Laurie I, Don Laurie II, Doolittle, Zchufro C, Duendicillo, De Martino, Paragon, Demetrius, the Oldenburg Mare of the year twice with Blue Hors Rebelle and Weihegold, not to mention Danish Warmblood Mare of the Year three times, several champion mares, more than 20 medal mares, four daughters have been awarded the highly coveted gold medal, several Grand Prix horses, performance test winner and so on, the list never ends. Jazz Girls father Jazzman has already several approved sons such as Jazz Rubin winner of the 30 and 70 days test and Jazz Royal, performance test winners, state premium mares and the NRPS-winning mare in Holland. Also countless winning foals, premium mares and highly successful dressage horses go to his breed account. With Jazz Queen II by Jazzman / Don Primero was known in 2011, a daughter finalist at the 6 - year old riding horses at the National Championships and Jazzy by Jazzman / Rubinstein / Inshallah AA was highly successful up to S dressage.Convince his offspring consistently conspicuous by its appearance and the most spectacular movements. 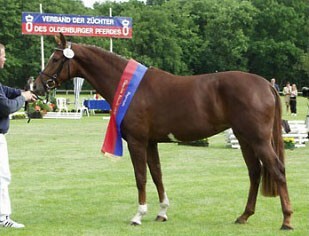 This success can be classified Jazzman with a very good breeding value FN under the top 10% of all dressage stallions. His mother Hidaula is a state premium mare and has been awarded on the basis of the success of their offspring. 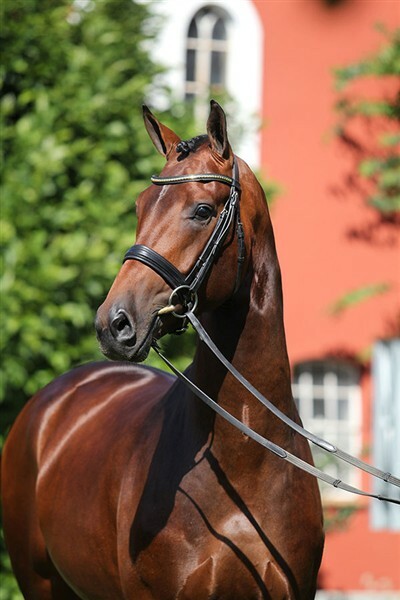 For example, the full brother to Jazzman is successful in Inter I. Jazzman is trained to advanced level dressage and has been adopted by successful tournament Seasons from the sport. Jazz Girls grandfather Donnerhall is one of the most successful dressage horse in the world this century and looks back on an exemplary career. He managed like no other sire of his generation to combine success in breeding and in sport alike. It is nearly impossible to provide a complete survey of Donnerhall's breeding record here, as it would necessitate the writing of a separate book. No other stallion has ever come close to achieving what the chocolate coloured chestnut Donnerhall managed in such a convincing manner, namely, the symbiosis of the dual qualities of being a successful competition sports horse and on the other hand being a top grade breeding horse.